When going to get a massage in Madrid, the main thing on your mind is usually that you want to relax and get some relief for your tired muscles. While you may receive that relief, there are many more benefits you may not know about. Getting massages regularly can improve your overall health in many different ways. Although not a replacement for any needed chiropractic care, massage can improve your posture over time. In fact, many chiropractors have begun hiring massage therapists to work on patients before they do an adjustment. This helps the patient’s muscles to loosen up, making it easier to adjust them. 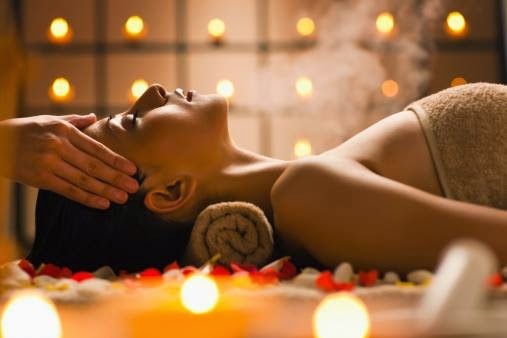 Massages help to improve the circulation of blood throughout your body. When your blood circulation is better, your body’s natural healing ability is increased. This means you may not be sick for as long, or sore muscles may recover quicker. Your joints will also benefit from your massage, becoming more flexible, which will reduce your likelihood for future injuries. If you have any breathing or respiratory problems, massage can help with that as well. Some of the muscles in your upper body can restrict breathing when they become tense. Relaxing those muscles helps your body breathe more naturally. Look for an experienced Xiao Ying´s Massage Center Therapist to aid you in promoting your body’s health. When you find someone experienced in massage therapy, you can get greater benefits out of your sessions. They will listen to your problems and apply the best techniques to alleviate your aches. Xiao Ying Centro de Masaje Oriental es una filosofía de vida que se transmite a través de las técnicas de masaje corporal, llegando a un equilibrio entre cuerpo, mente y espíritu. Se realizan masajes tradicionales tailandeses, Pitjit Balinés, tradicional Tui Na terapéutico chino, masajes para el bienestar, masajes relajantes y masajes combinados que harán que el resultado sea doblemente beneficioso. El tacto , el olfato, la vista, el oido y el gusto, estarán expuestos de forma continua a este pequeño mundo de olores, sabores, sonidos y masajes, que te harán viajar muy lejos... quizá hasta algún maravilloso lugar de oriente acompañado por la "manos de Asia que Saben Cuidar".